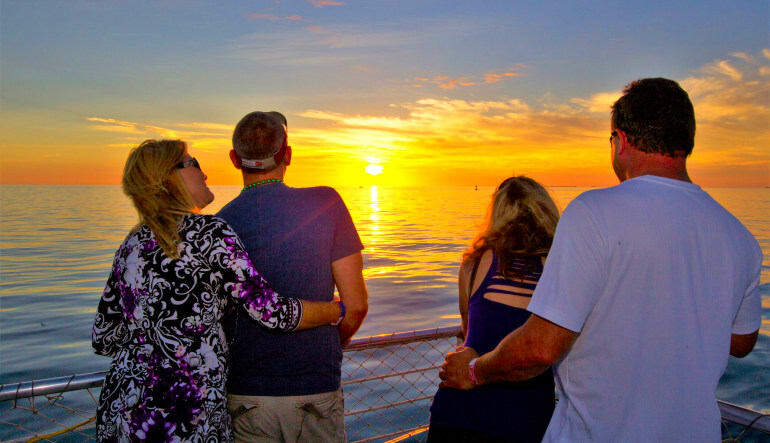 This Key West sunset cruise is the only way to cap off a hot day of surf and sand! Hop aboard the brand-new vessel as a steel drum band kicks off the festivities! 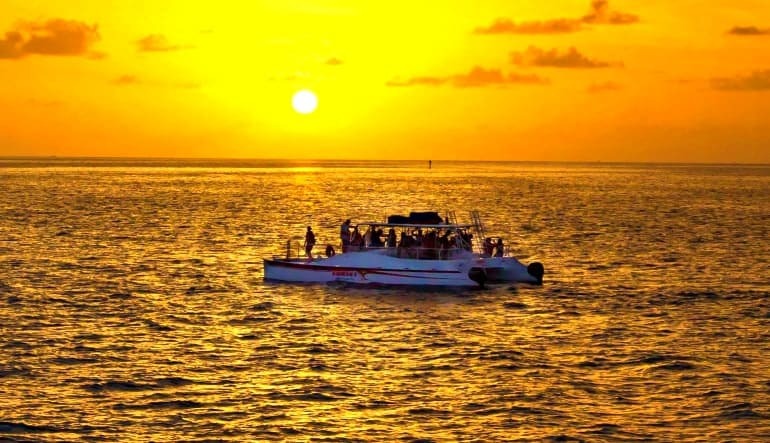 This Key West sunset cruise is the only way to cap off a hot day of surf and sand! Hop aboard the brand-new vessel as a steel drum band kicks off the festivities! With the sun beams still touching the harbor waters, you’re likely to spot beautiful marine life as you sail deeper into the Atlantic. Amid the sightseeing, you’ll also meet and mingle with the other friendly passengers, dance and raise a glass as night falls (the cash bar serves up colorful concoctions as well as free soft drinks and a slew of virgin libations). With the moon now fully out, the boat turns back towards the shore, giving you an even more striking view of the skyline. You’ll certainly want to bring a camera! Take a 2-hour Key West sunset cruise on a 65-foot catamaran! Enjoy the live tunes of a steel drum band! Stay refreshed with the help of a cash bar: cocktails, wine, and bubbly as well as free draft beer and non-alcoholic offerings. Show off your best dance moves on the sailboat’s upper and lower decks! Snap shots of marine life, the stunning sunset and the illuminated skyline! 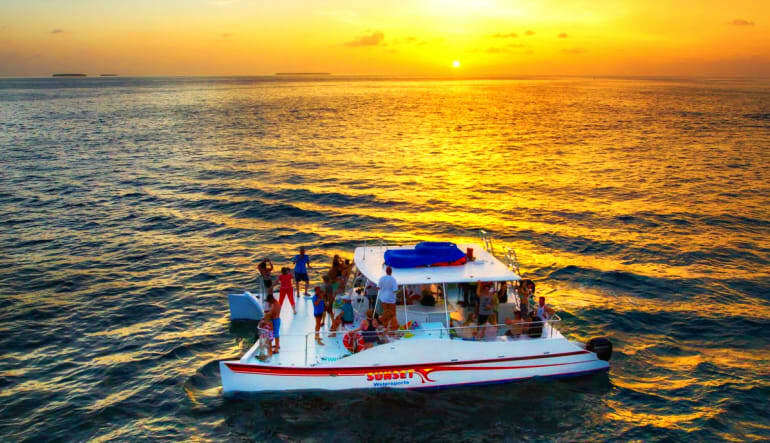 Live music, margaritas and sunset scenery aboard a 65-foot catamaran—what more could you ask for? Book your Key West Sunset sail today!